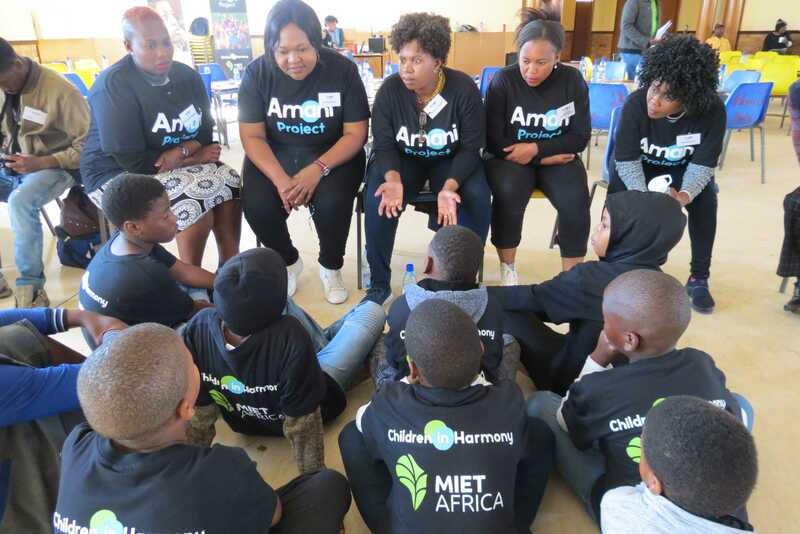 The Amani Project is a partnership project between MIET AFRICA and US-based NGO Children in Harmony, located within the Education: My right! My future! Project which is being implemented at primary schools in the Bojanala District of the North West Province. Following a successful first phase of the project in 2018, the North West Department of Education and Sport Development has nominated 30 primary schools to participate in the second phase of the project from January to June 2019. The Amani Project is funded by Children in Harmony. 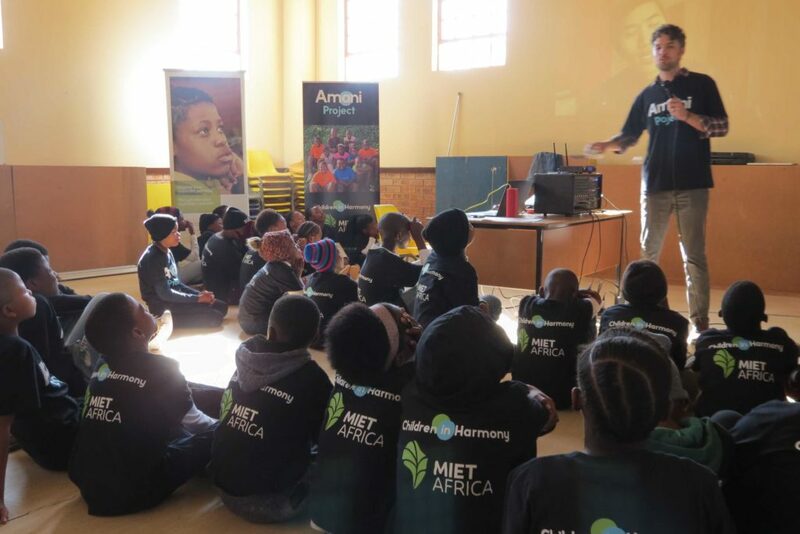 The Amani Project (Amani is a Swahili word for “harmony”), is an innovative programme that combines the teaching of music and development of emotional intelligence to help build a lifetime of gender equity and empathy in girls and boys. Children in Harmony believes that making music with young people can lead to a more equitable and just world. When children are given the chance to make music, they can express themselves while creating emotional common ground with others. The goal of the programme is for learners to become active in promoting equity at their schools and in their community through the establishment of Amani clubs. Learners will be given opportunities to earn badges after achieving tasks related to music making and self-development. music + emotional intelligence = more #empathy = more #equity.